Safety Fest TN is a week of over 100 safety classes, sessions and demonstrations – all FREE to everyone who registers! The annual event provides free safety and health training to promote safety at work, at home, and in the community. 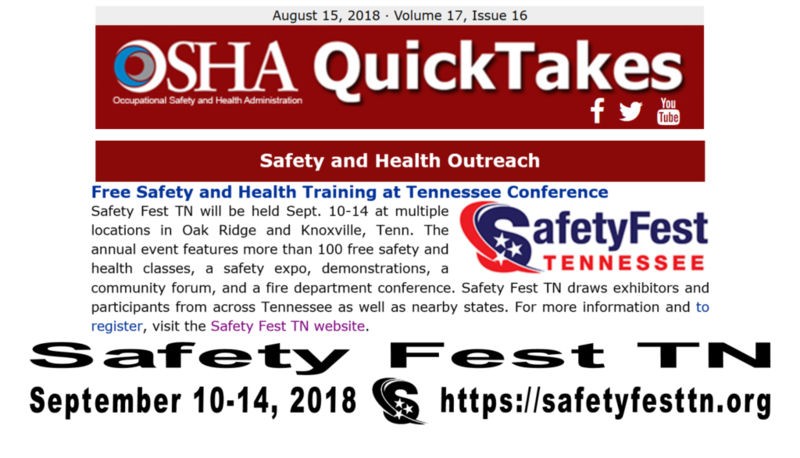 Safety Fest TN is the combined efforts small and large businesses; local, state, and federal agencies; colleges and universities; and non-profit organizations. Fire Department Conference: Wed., Sept. 12 & Thu., Sept. 13.